I used to draw on anything I could get my hands on (including the headboard of my bed when I was six, perfecting my five-point star technique--sorry mom). At Brigham Young University, I graduated with a BFA in Fine Art, Painting & Drawing. I learned so many things from my time at BYU: technical skills, definitely, but also (and perhaps more importantly) lessons about the process of creating art itself. That using the best and finest materials available helps you create the most beautiful work, and if your art is something you're proud enough to put your name on, every detail should sing with beauty and be perfectly executed. I discovered digital painting in 2015 and was quickly hooked. My favorite thing about digital painting is its moldability. (Also, being able to straight up erase the "paint" is not so bad either.) Digital painting is quickly becoming one of my favorite mediums to work with, and it has so many unique and beautiful qualities that make it a joy to use. 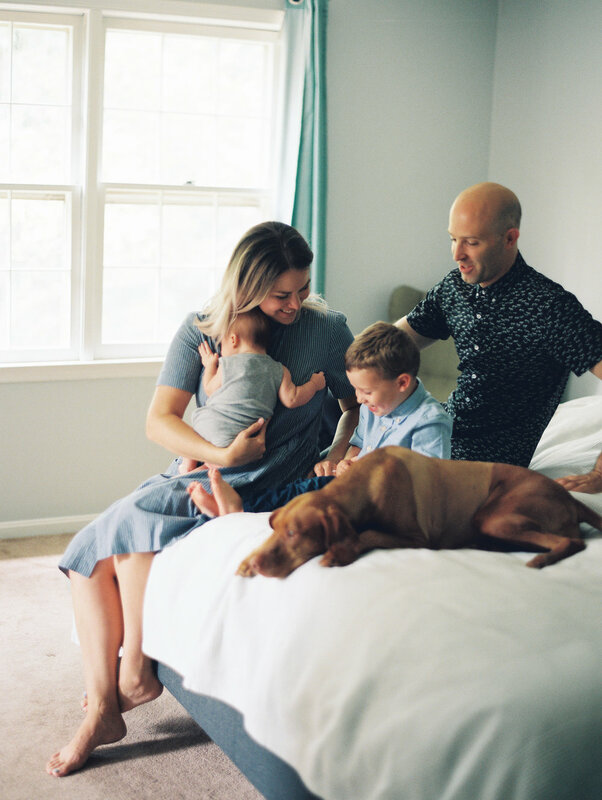 I currently live in Alexandria, VA with my husband, my two sweet sons Theo & Walt, and 5 year-old Vizsla pup named Vika. Life with them is a pretty sweet gig; painting is my lovely icing on the cake.